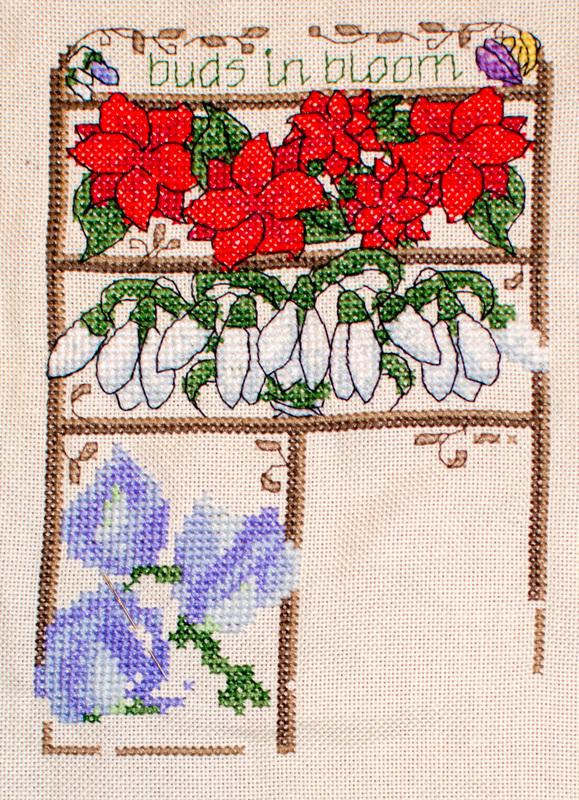 Since the Linen and Threads sampler pieces come out once a month, once I'm done with them, I work on this. I'm coming along pretty well with it. 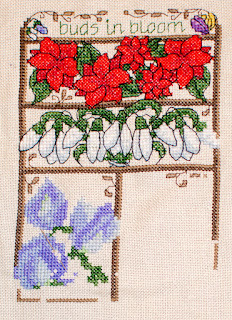 I -think- I will have it done by the end of April, as this is almost the halfway point and I have April done on Linen and Threads.